Ontario Budget 2019. With no new taxes on a personal or corporate level and ongoing deficits for the next while, what should we make of the budget? Short Selling Canada’s Banks. Short sellers have been betting that Canada’s banks will see declines, in light of ongoing consumer debt, a slower housing market, and decreased credit growth. As bank earnings continue to increase, is this a good bet? Bezos Minimum Wage Hike. CEO Jeff Bezos has challenged competitors to meet or exceed the $15 per hour minimum wage level that is currently in place at Amazon. What is behind his comments and what could it mean for competitors? Here’s a few thoughts. Given the uncertainty that we have seen in the business world and broader community over the past couple of years, in terms of trade, tariffs, and relationships between countries, some relative stability could be helpful. In times of uncertainty, companies tend to delay longer term, investment oriented decisions, which could impact the economy in a host of ways, including employment, purchasing, and construction, to name a few. When these sectors of the economy are not as robust as they could be, consumer confidence and consumption can start to wane. It’s all connected, and important to try to keep all areas afloat in uncertain times. Having said that, Canada’s banking system continues to find ways to make money; something that won’t surprise business owners and consumers. There are significant differences between the US and Canadian banking sector, and although we’ve been on a favourable economic run for some time, the “short” opportunity might not be as imminent as speculators think. And finally, online based businesses like Amazon have taken the opportunity to make an impact on the retail sector, with the demise of many traditional “bricks and mortar” companies that have fallen behind the times, unable to compete. It’s important to remember the importance of a company’s business model, in terms of how they make money, what the cost structure is, and the extent to which expense escalations could be borne. As social conscience continues to rise among the need for a living wage, companies that haven’t migrated to a place where they can provide one might just find themselves in difficult circumstances (and short of staff!). When it comes to business, we can look at where we are, but the strength is in truly understanding what the future could bring and knowing what is needed to thrive there. Business savvy leaders understand this; unfortunately, most either lack the ability or have not taken the time to focus on what’s important in this regard. Thanks, CBC News Network, for the on-air mention of my new book, Defusing the Family Business Time Bomb, helping business leaders to address a range of challenges to achieve market relevance over the long term. See you again soon! Back in studio this past Saturday for the CBC News Network Weekend Business Panel, alongside John Northcott and Mark Warner; what a busy news week! I find it especially fun to discuss a range of topics that can be linked together, a reminder that so much of our business, political, economic, and demographic world is connected and can sometimes impact us in unexpected ways. Huawei’s US Court Challenge. As trade talks and friction between the US and China continue, tech giant Huawei launched a challenge to being labelled as a “security risk” in US court. What are the implications, and is the Company’s role in development of the global 5G network even more uncertain? China Halts Canadian Canola Shipments. Relations between Canada and China are also tense, with the detainment of Huawei’s CFO and two Canadian men earlier this year. Is the revoking of a major Canadian exporter’s registration to ship canola a business matter or a political one? Is this a sign of more things to come? Facebook’s New Vision. With the social media giant being under fire for years regarding privacy, content, and user protection challenges, founder Mark Zuckerberg outlined a future vision with a decidedly more private and secure environment. Is this approach the way of the future or a means to move away from Facebook’s current challenges? Over the past couple of years, “nation” oriented issues have risen in profile globally, with developments in the US, UK, China, and Venezuela representing a few examples. In the case of China, there has long been the dichotomy of the potential to access a large market with the challenges of doing business with a country that doesn’t have the best reputation for “playing by the rules”. The challenges associated with Huawei remind us that good products are not always enough, when it comes to choosing a business partner, and that we are judged by the company we keep. The US has been firm in indicating its lack of comfort in terms of doing business with Huawei and has gone as far as encouraging other countries not to involve the Company in 5G network development. As the saga continues, other developments have come to light, such as in the case of Canadian canola shipments being halted for “quality” issues, leaving many to suspect that the underlying rationale is more political in nature. The lesson for Canadian companies is to remember that developments in faraway places can (and do) impact your business, as will be the case with canola farmers and everyone who counts them as customers. Business leaders need to remember that the long term success of their company requires a strategy that hedges against reliance in one area and to always keeps a careful eye on what is occurring in the broader marketplace and industry. This is also true for countries. In recent years, we have seen Canada step up in a number of areas, and while the US is certainly its core trading partner, it has been interesting to watch developments in this relationship and others. As referenced by former President Barack Obama at an event in Winnipeg a week ago, the level of US influence globally has declined from where it once was; this has brought both opportunities and risks. Regardless, Canada has both an opportunity and a need to continue to build its global trade strategy. In terms of Facebook, hopefully, it is finally taking to heart the need to strengthen its environment to effectively address the challenges of an increasingly complex world. As I have said for some time, many of the challenges that Facebook has encountered are what I consider to be fundamental business practices: the need for the right systems and processes, protecting user data and rights, knowing who you are doing business with, and having appropriate contracts and documentation in place. All companies need to address these areas, regardless of their size or type of business, and emerging technologies do not get a pass. We will see if Facebook will take the necessary steps to address these areas and others in its existing platform, or whether future evolution to a more robust environment will be the case. And finally, on the 10th anniversary of the “bottom” of the financial crisis market, have any lessons been learned? Of particular interest is the need for companies to have the right strategies in place to support long term survival, a point that might seem out of place on this topic. In fact, it is very much related to the strength of our business community and economy, in terms of the importance of having a core of companies that: offer the right products and services, in a manner that customers want, at a competitive price, by way of competent systems, processes, and people. These companies also understand the trends in their industry and where they need to migrate to as a business, to ensure their longterm relevance to the marketplace; this also includes shuttering areas that simply do not work anymore. Consider this in the context of the many companies that have ceased to exist over the past few years; these include giants of yesterday, who were lacking in most or all of the areas mentioned above. The result impacts the economy as a whole, as well as jobs, household spending, and a range of other areas. Let the need for strong, thoughtful, and nimble leadership at both governance and executive levels be the lesson on this 10th anniversary, and if any in these ranks do not understand the connection and urgent need for action, they are probably in the wrong job. Thanks again, CBC News Network, for the on-air mention of my new book, Defusing the Family Business Time Bomb and see you next time! Starting off the New Year in studio for the CBC News Network Weekend Business Panel, alongside John Northcott and Elmer Kim. Turmoil in Venezuela. In the face of leadership uncertainty and devastating economic and social challenges, potential US sanctions could significantly impact Venezuela’s oil industry. What could this mean for Canada? Ontario enhances autonomous vehicle pilot program. Changes to an existing program will now allow some automated vehicles on public roads with just a passenger on board or a remote operator monitoring the vehicle. When could we expect to see these vehicles on the road? The Venezuela story is a reminder that developments in far away countries can impact us here in Canada, including in terms of business and the economy. In the event that Venezuelan oil exports are sanctioned by the US, refineries in that country will be seeking supply to meet the needs of their operations. Canadian crude oil could fill this gap, however, meeting such opportunities successfully requires more than just identifying solutions at a high level. Logistical challenges and limitations have been in the news for some time and relate to the need for Canada to continue to focus on developing a global trade strategy for oil. This approach raises the likelihood that opportunities could be successfully met as they arise; it is also simply good business. The advancement of riderless cars, one step closer to being approved for regular road use, reminds us that the future is now. Although there is still additional work to do in terms of testing and refinement, the practical use of autonomous vehicles represents tremendous change for many, including car manufacturers, insurers, companies that utilize vehicles and drivers, and consumers. Are they ready? I expect that many are facing the need to work quickly to keep up with the pace of these exciting developments. And so, 2019 begins, with what should be an interesting year. 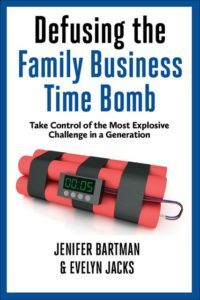 Special thanks to CBC News Network for the on-air mention of my new book, Defusing the Family Business Time Bomb; I sincerely appreciate it! Closing out 2018 in studio for the CBC News Network Weekend Business Panel, alongside Elmer Kim and John Northcott. This week, we focused on the business implications of the ongoing Huawei saga, which became part of the news cycle earlier this month with the detaining of the company’s CFO, Meng Wanzhou. China’s concern over Meng’s circumstances has been playing out through a range of potential threats to companies, such as Apple and Canada Goose. Actions that could arise include boycotting iPhone purchases, while Canada Goose has already faced a falling share price and delays in opening its new store in China. This situation could also bring complications to the current 90 day “quiet period” between China and the US, in an attempt to arrive at a trade agreement that could bring more favourable terms than the recent past of escalating tariffs and other troubles. While the two largest economies in the world seem poised for an uncertain relationship, with Canada facing warring words of its own from China, the news isn’t all bad. In the event that China cannot come to a reasonable trade resolution with the US, it will have to continue to procure goods to support its own economy, with a need to look beyond its regular trading partners. Bring a balanced approach. When seeking to do business in new markets, it is critical to fully understand the marketplace, in terms of potential opportunities, risks, regulations, and business practices. Too often, the focus is primarily on the opportunity, which could result in significant challenges when inevitable difficulties surface. Take a long term perspective. Entering new markets should be viewed as an investment, not a whim. Investments require the right research, strategy, and implementation plan, not only to generate success, but also to address challenges and mitigate risk. Although this might sound obvious, companies tend to fall into the trap of focusing primarily on generating short term, positive results, an approach that puts an investment at risk once early days pass. Conduct an integrity check. Among the important issues of opportunity and risk is the manner in which business is done; call it values, basis of judgement, operating style. The bottom line is that not everyone (or every place) has a style that is consistent with your own, which could lead to significant problems down the road. Knowledge is key to determining whether or not the opportunity at hand is a place where you want to be, and finding this out after the fact could be too late. Increase the likelihood of success by resisting the temptation to leap without looking, and instead, doing the necessary homework to make an informed decision and strategize accordingly. There’s strength in recognizing that those who are first out of the gate aren’t always in the race for the long run; be sure to avoid this all too common pitfall. Thanks for watching and see you in 2019! Bombardier’s layoffs and selloffs: The company has struggled in recent years and found itself in the news again this week; announcing 5,000 layoffs and a couple of selloffs as part of ongoing transition efforts. With Canadian taxpayers having funded the company to the tune of over $1 billion, can any positive developments be expected? Bowring and Bombay File for Creditor Protection: Disruption in the retail space continues, this time, revisiting two longstanding Canadian brands. Do they have a future? Amazon’s Toy Catalogue: Reminiscent of years past, Amazon has its own printed toy catalogue for the Holiday season; what’s behind this move? Transition is never easy (or quick), but Canadian taxpayers have probably heard more than their share of less than stellar news about Bombardier. The reality is that this large and diverse company didn’t find itself off the rails (pun intended) overnight, and unwinding a bad situation can take far more time, angst, and money than most would expect. As is the case with any company, it’s critical to understand the core business, one where success can be generated on a competitive and financially favourable basis. As manufacturing technology evolves, companies are challenged to be increasingly efficient and that often involves shedding or re-positioning jobs. If Bombardier is to find success, it must have a well-designed plan that focuses in the right product and service areas in an efficient and competitive manner; time will tell if this can be achieved, or if the outcome will be of a more somber nature. In an intensely competitive retail marketplace that has evolved significantly, many companies have found themselves left behind; Bowring and Bombay are the latest, having faced similar circumstances only a few years ago. Retailers must understand their target market well and take the necessary steps to connect and engage with them in an effective manner. These companies have not kept up with the rapid pace of evolution, which might spell the end for these Canadian brands. Retrenching to fewer stores or trying to play online “catch up” with a customer that might not be receptive could be the age old story of finding and implementing a new strategy too late. And, finally, Amazon’s printed toy catalogue is all about the memories and nostalgia of many childhoods, as well as reaching out to those who shop online less frequently. Using an approach that makes online engagement easy just might be the most timely “pull” strategy we’ve seen in a while; kids just need to put down their tablets and iPhones long enough to flip through the pages! Thanks for watching and see you again soon, CBC! As Canada is set to legally permit recreational use of cannabis on October 17th, many employers are facing challenges as to how to address the issue. With some organizations banning use entirely for “safety sensitive” jobs, others are taking a less restrictive approach, requiring employees to ensure that they are “ready to work” and leaving it at that. Many of Canada’s small enterprises (representing 98% of employer businesses) lack the resources and expertise to address this complex issue, while some large organizations have indicated that their cannabis related policies are still being developed. This represents a significant problem. In general terms, employers must adequately manage risk in order to ensure the safety and viability of their company, the welfare of staff members, and that customers receive the products, services, and care that should be associated with their purchase. This includes establishing standards for how work is done, of which the human resource aspect is a critical component. It is recognized that substances that cause impairment could impact a person’s ability to perform a job; this is the first part of the challenge, with the second being related to measurement. Although monitoring compliance with some standards is relatively easy, such as in the case of an employee being required to wear safety equipment, measuring impairment is much more difficult. Those with expertise in this area have indicated that obtaining reliable and relevant results when measuring cannabis consumption and impairment is problematic, with the appropriate technology not currently available. For business leaders who have not yet addressed this area, given the level of urgency of putting appropriate policies in place, an efficient path to answers is to contact a qualified human resources advisor or your legal counsel. Since policies should typically be researched, drafted, vetted, approved, and communicated in advance of when they are needed, it is critical to take action now. Failing to do so could result in uncertainty, poor decision making, and what could be costly mistakes. In terms of the markets, some of last week’s volatility relates to global trade uncertainty and conflict, such as in the case of the US and China. Economies, however, have many components, including the potential impact of tariff, purchasing, investment, and employment levels, among others (current factor of interest at the White House: interest rates). With some considering this sell off as one that has been in the works for a while, it’s important to keep these fluctuations in perspective and recognize that performance is still positive over the past year. Lots to think about and monitor over the coming months. Thanks, CBC, and see you again soon! Pleased to announce that I have been selected for inclusion in the Women in Capital Markets Board-Ready Directory. This directory serves as a valuable resource for Board chairs, senior leaders, and recruiters to identify women who are eminently qualified to sit on public, crown, private, and not-for profit Boards of Directors. The purpose of this initiative is to provide a pool of qualified female candidates to encourage greater gender diversity on corporate boards in Canada. The latest CSA Staff Review of Women on Boards and in executive officer positions found that only 14% of major Canadian Board members are women, despite regulations that were established more than a year ago. This roster of women has successfully completed a qualification process, meeting or exceeding established criteria and well positioned to make an impact. Women in Capital Markets’ (WCM) mission is to accelerate gender diversity across the financial industry and corporate boardrooms of Canada. WCM is the largest network of professional women in the Canadian financial sector and the voice of advocacy for women in the industry, including all segments of capital markets and related services. On a personal level, I’m thrilled to be part of this important group that is working to ensure that women have a seat and voice at the Board table. Speaking as a former venture capital executive with a significant amount of governance experience, this diversity imbalance needs to be resolved and I am proud to be in a position to help make gender inequity history. Feel free to contact me to discuss how I can contribute to your corporate board.